I was in Lander preparing for a NOLS winter course when I committed to the expedition. I had every reason to bail but said yes anyway. Call it a haunting. 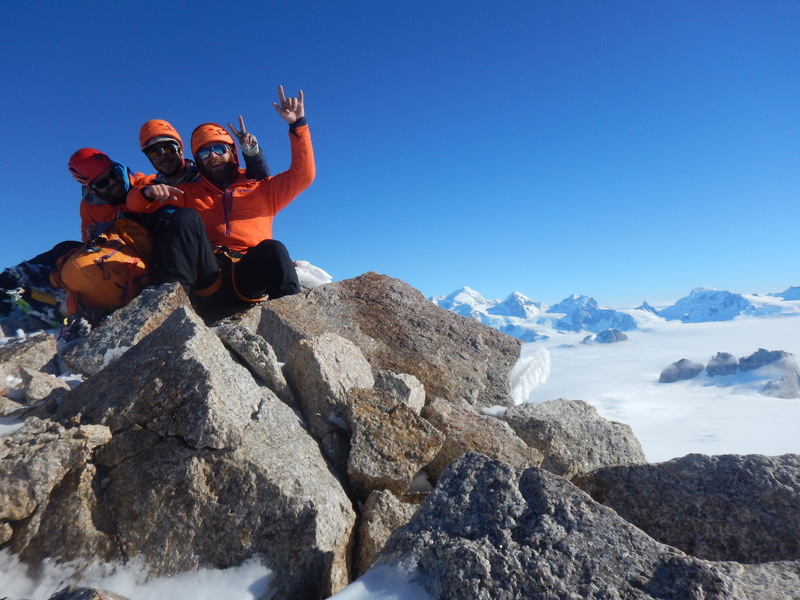 My friend Felipe Cancino, a NOLS mountaineering instructor from Chile, had proposed an exploratory climbing trip on the famed Northern Icefield in Chilean Patagonia—el Campo de Hielo Norte. 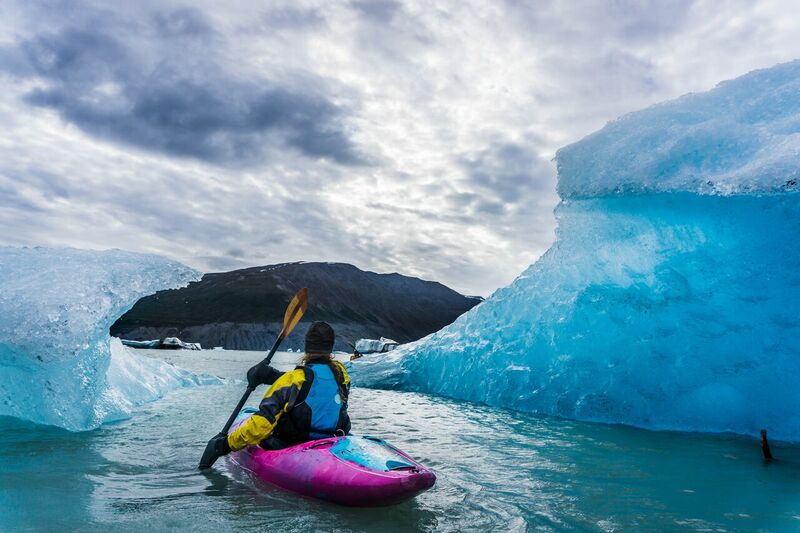 One of the largest contiguous ice sheets outside of the planet’s poles, the Northern Icefield is studded with unclimbed peaks yet rarely visited by climbers due to its remote location and notoriously bad weather. 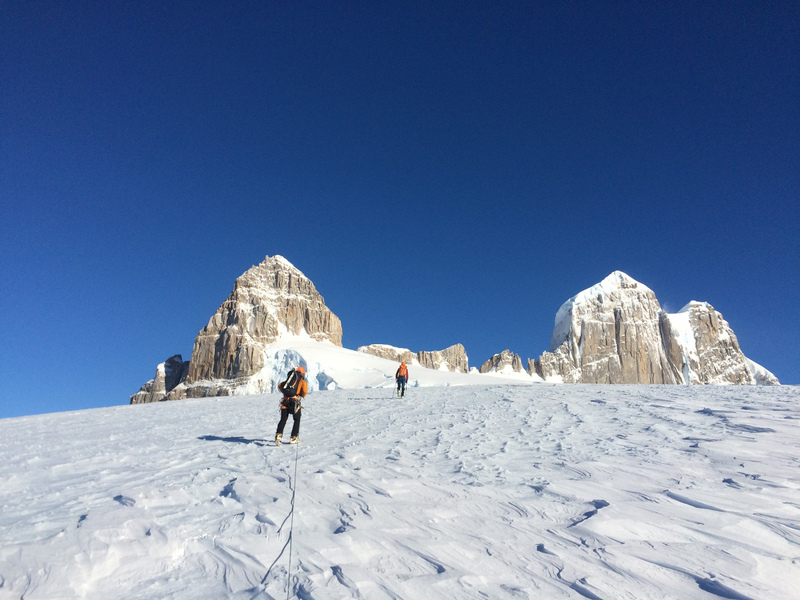 Mountaineering courses from NOLS Patagonia explore the icefield fairly often, but they seldom have the opportunity to attempt more technical climbs. Felipe Cancino climbing during the first ascent of Pantagruel. In recent years, a Chilean named Camilo Rada had been working to produce a more accurate map of the icefield’s uncharted regions. Camilo had shared his map with Felipe, and Felipe had shared it with me and a few other NOLS instructors. A plan began to emerge, but still I felt conflicted and unable to commit: contemplating work, family, and my own carbon footprint, I couldn’t justify the yearning I felt when I looked at Camilo’s photos of fearsome granite walls caked with ice and snow. Then, suddenly it was a cold December night at the Noble Hotel and I was heading into the field the next day and it was time to make a decision, justifications be damned. I called Felipe: I was in. 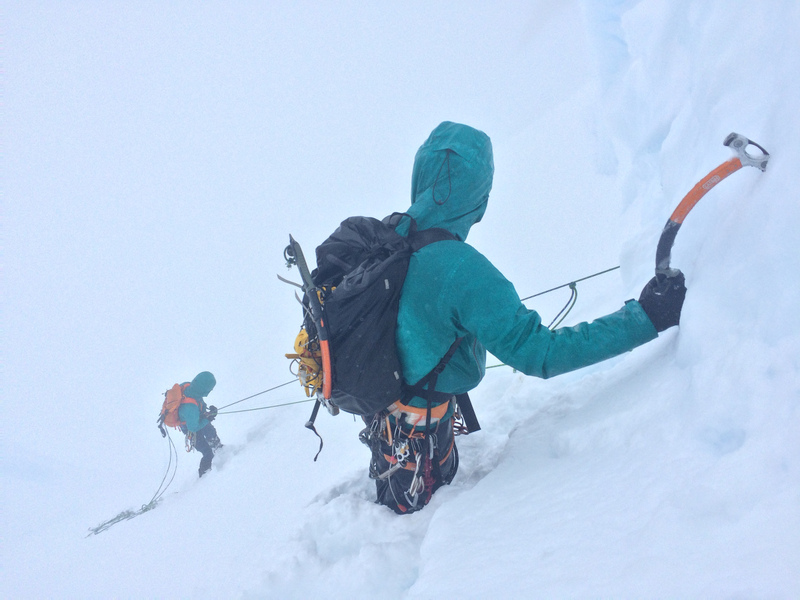 Descending Cerro Fantasma in whiteout conditions. Two months later and six thousand miles away, I jolted awake in the middle of the night as a huge gust of wind bent our tent poles in half and almost lifted our whole tent off the ground. After a boat ride across Lago Plomo, a gaucho-assisted walk up the Soler Valley, and a week of shuttling our food and gear up the Nef Glacier, we had made camp in a moraine just below the main "pancake" of the icefield. 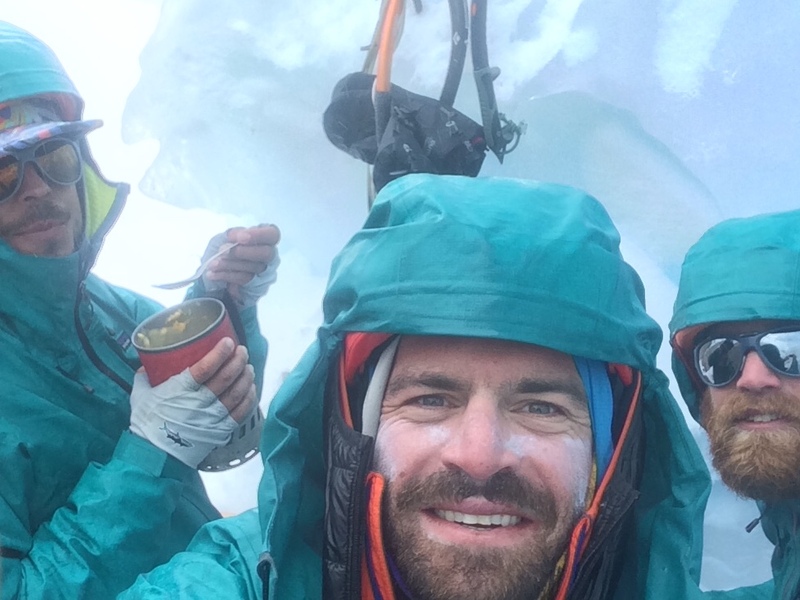 I sat between Felipe and Max Fisher, a NOLS mountaineering instructor from Canada, and for the next few hours we hunkered upright in our sleeping bags while bracing our tent poles against the wind. As another huge gust of wind screamed across that empty expanse and shook the walls of the tent, Felipe suddenly realized that his boot liner had disappeared. We headed out into the storm to look for it, knowing that it would be nearly impossible to continue our expedition without a proper boot—and also doubting that we would ever find a white foam liner tumbling across a sea of snow in the howling wind. We returned to the tent wet, cold, and silent with desperation. Max Fisher climbing during the first ascent of Pantagruel. I found the liner the next morning, resting in the snow hundreds of meters from our tent. We were back in the hunt. 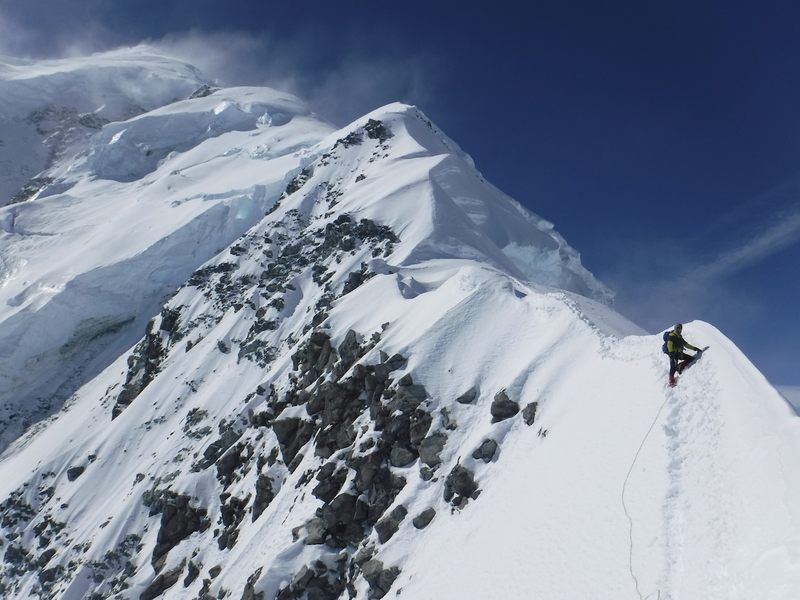 We spent a few more days hauling loads through poor weather to establish a high camp near Punta Pantagruel, the unclimbed peak we had chosen as our primary objective. Many climbers spend months of their lives waiting for a weather window in Patagonia. Ours came the day after we arrived at our high camp. The weather broke and we found ourselves climbing steep rock, snow, and ice on the east face of Pantagruel under a perfectly calm blue sky. We reached the summit of Pantagruel in the evening light and named our route Brisa Suave—"soft breeze"—as a nod to the night that we almost lost Felipe’s boot liner and the expedition seemed to be falling apart. The team during the descent from Cerro Fantasma. The calm weather continued into the next day, so we immediately set out for our secondary objective: a nearby peak which Camilo had mentioned to us and which we had seen for the first time from the summit of Pantagruel. As we climbed steep snow and an icy chimney on our second peak, the weather deteriorated and we were in a full-on rainstorm and whiteout when we reached the summit. By the time we made it back to our camp late at night, we were cold, wet, tired, and almost astonished by our own good fortune: first ascents of two unclimbed peaks in two days. We named the second peak Cerro Fantasma, or Ghost Peak, since it did not appear on any official maps of the icefield. Looking west across the icefield from the summit of Pantagruel on February 10. The right-most peak is Cerro Fantasma. The next morning we received a satellite text message from our friend Frank Preston, another NOLS instructor who had volunteered to be our weather forecaster: another big storm was coming in fast. It was time to move again. We began the long walk back down across the ice and snow and moraine and eventually back to the Soler Valley and Lago Plomo. Sixteen days after our expedition began, we were on a boat heading back towards Puerto Bertrand and the rest of our lives. Go to the place that scares you the most, and stay there as long as possible. The team on the summit of Pantagruel. 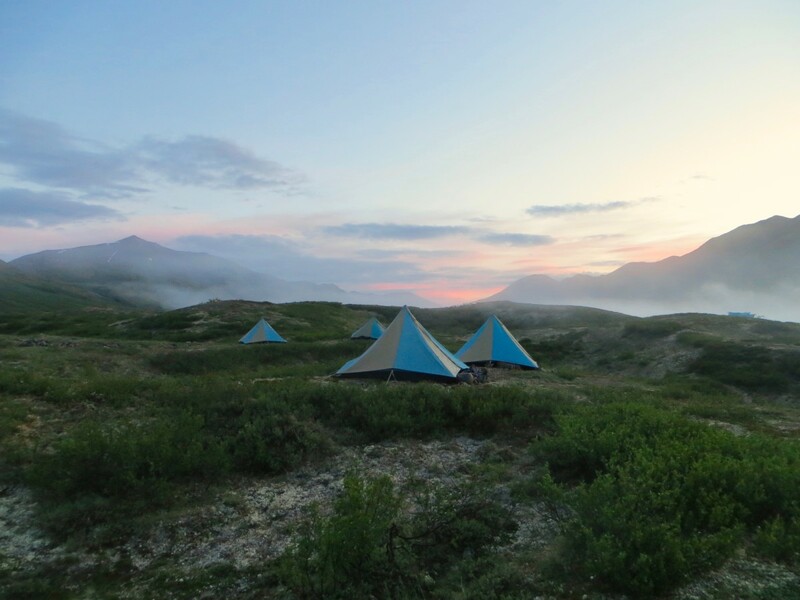 I am grateful to the Instructor Development Fund for making this expedition possible, and to NOLS for helping so many students and instructors step forward into the unknown. 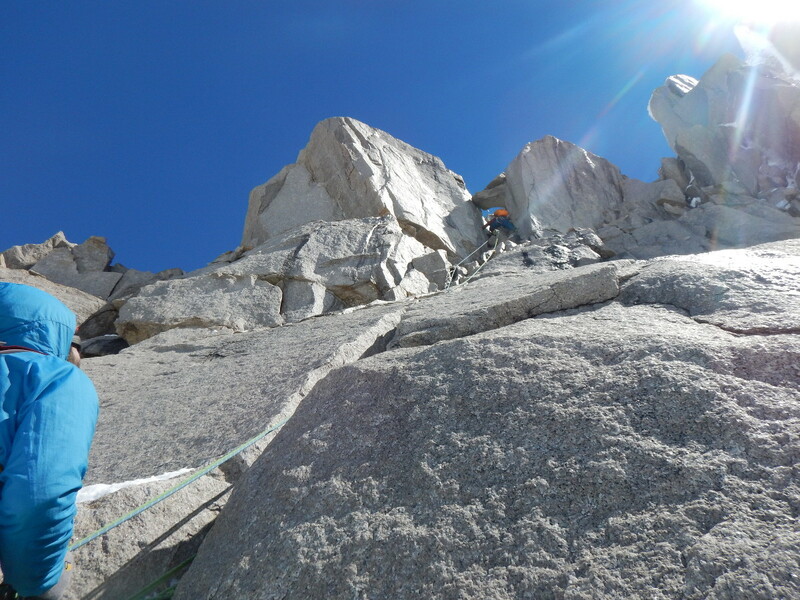 Learn more about this expedition by reading the full trip report in the American Alpine Journal. 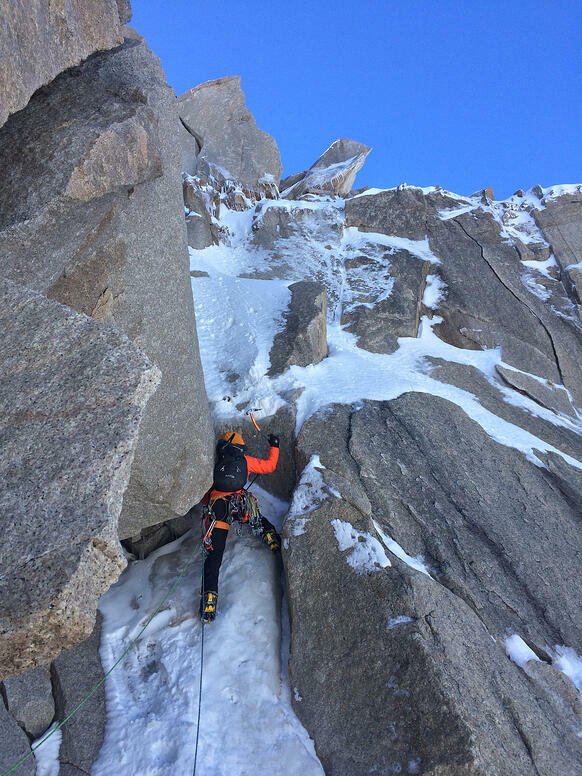 Willy Oppenheim has been playing in the mountains all his life, and has been working in the mountains since 2009, when he began leading mountaineering, rock climbing, and skiing courses for NOLS. Willy has led numerous mountaineering expeditions in the North Cascades and the Waddington Range of British Columbia, and has also worked in India’s Kumaon Himalaya and the Wind River Range of Wyoming. His personal climbing trips have brought him to locations including Ecuador, Chile, France, Morocco, and Pakistan. 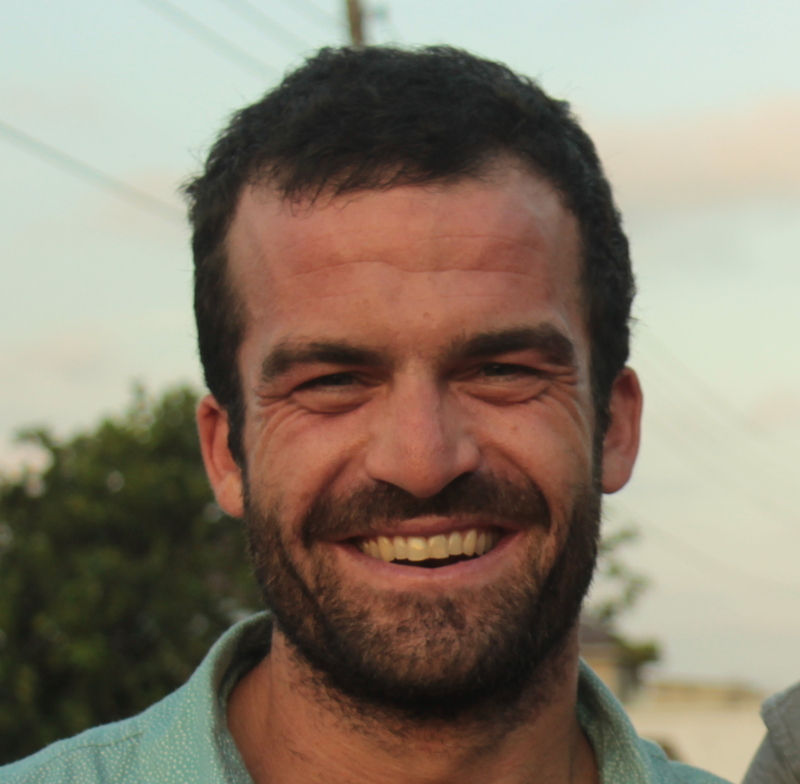 When he is not climbing or skiing in the mountains, Willy spends his time leading an international education non-profit, Omprakash (www.omprakash.org) and enjoys playing guitar, baking bread, running, and fly fishing.